We’re delighted to feature a slew of amazing craft breweries, plus cider and wine, at Rooster Walk 9! Check out the BEERS!!! 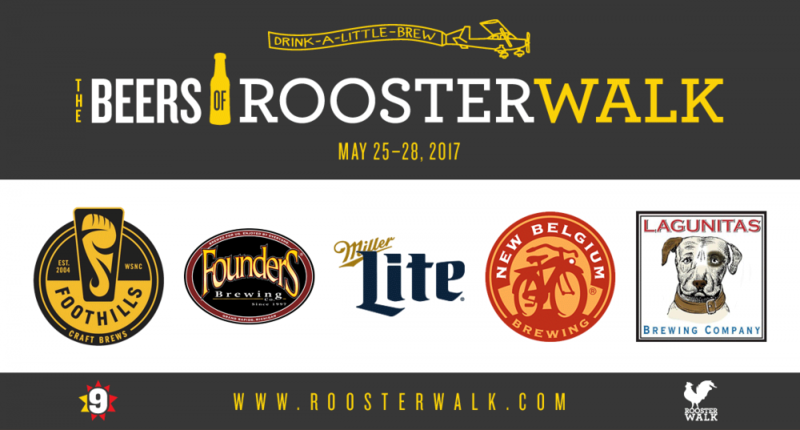 page to learn more details about the beers that will be poured by Miller Lite, New Belgium Brewing, Foothills, Founders and Lagunitas. We’ll also have Angry Orchard Cider and Potter’s Craft Cider, plus a variety of Black Box wines.